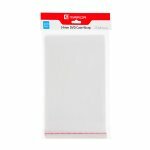 Mirror 14mm DVD Case Wrap in Pack of 100 keep your DVD cases (and therefore your discs) safe from dust and fingerprints. 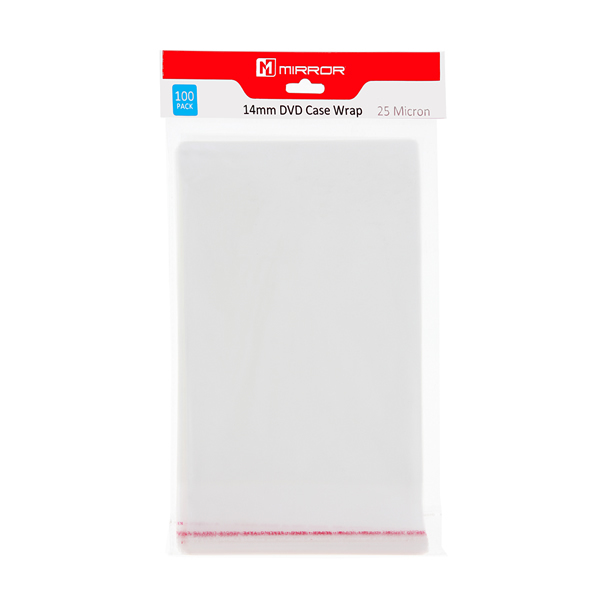 A popular choice for storing DVDs with their DVD inlay cards in a small amount of space, these sleeves are the exact size you need to slip over a DVD case. It makes your DVD case look like a shrink wrapped case without the need for shrink wrapping equipment, they also feature a reseal able sticky strip. Suitable for standard DVD cases with a 14mm spine width.